The twelve months gathered around the virtuous girl, whose evil stepmother sent her to gather snowdrops in January. The months took pity on her and let seasons change fast, so that she could gather the flowers. 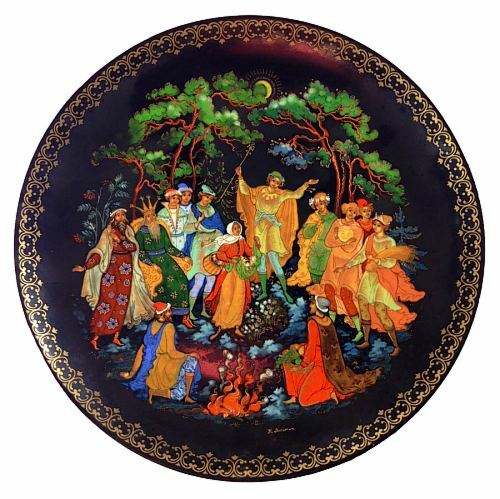 This collectible plate is based on a lacquer miniature by Palekh artist Nikolai Lopatkin. The plate is in excellent condition and comes with the original documents and box.